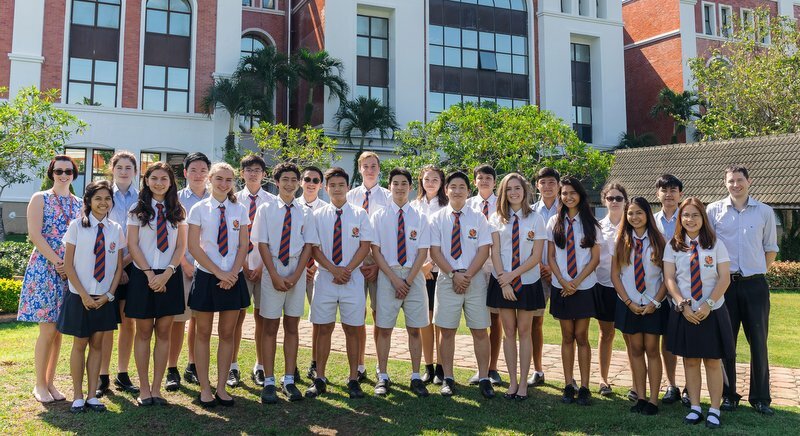 Well done to the British International School, Phuket students who have just received their early entry IGCSE Mathematics and Biology results! The most recent batch of early entry International General Certificate of Secondary Education (IGCSE) students at BISP have continued the school’s tradition of achieving excellent grades across many subjects. Last year’s student cohort for the exam period of May/June 2017 achieved the highest results in the school’s history, with an impressive 91.3% grades A* to C, 72% grades A* to B, 49% grades A* to A and with 44% of students achieving at least 2 A*s.
These results included the Outstanding Cambridge Learner Awards for Top in Thailand for IGCSE World Literature, Top in Thailand for IGCSE Global Perspectives, Top in Thailand for IGCSE Additional Mathematics and the High Achievement award for IGCSE International Mathematics for the Highest Scoring candidate in Thailand. We look forward to more great results in our May/June IGCSE examinations.